In most companies development is ongoing and applications tend to grow horns and tails as users and developers become familiar with existing functionality and require enhancements. 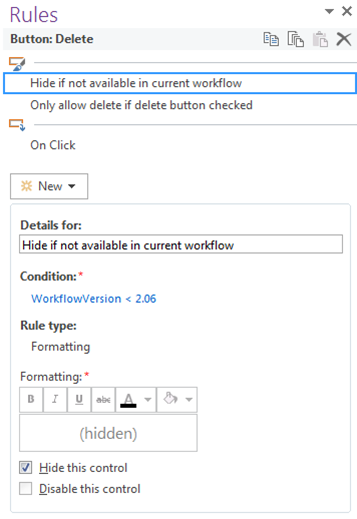 This can be a problem especially when working with workflows since although the InfoPath form has changed to the new release, the workflow is still functioning with an older instance. This could mean that functionality in the form is not available in a workflow, since for example, it is only expecting Outcomes 1 through 3, but the form is now providing Outcome 4. 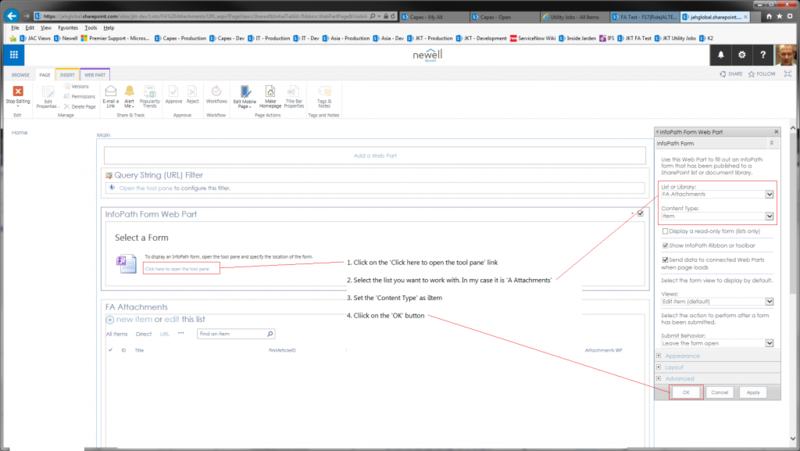 In most of my forms that are linked to workflows, I provide the ability for an administrator to restart the workflow at a particular point if needed. 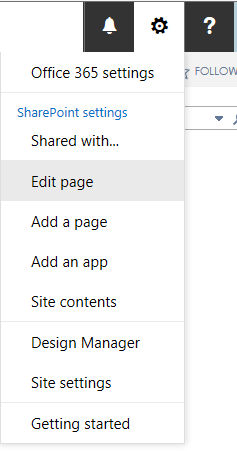 This is not only useful in testing situations (since a workflow can skip time consuming steps if they have already been completed), but it provides much needed flexibility in SharePoint where server throttling situations can result in a suspended workflow which needs to be restarted at a previous point. 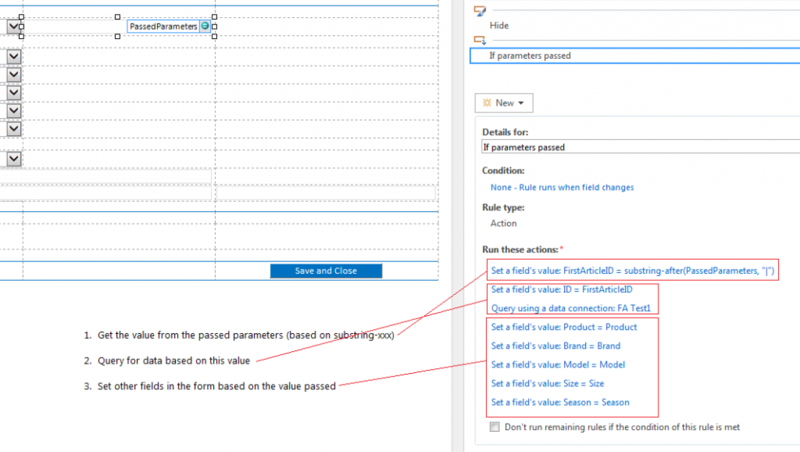 It is often useful in a form to hide certain fields that are only used in rules and calculations, however this can make troubleshooting a form with issues difficult since key data may not be displayed. 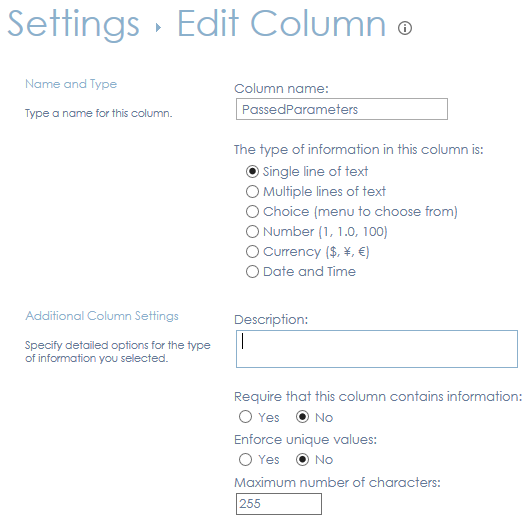 Displaying these values on the form on the other hand can cause confusion with your users. In these situations I normally create an alternate ‘hidden’ view that displays all fields, which ‘normal’ users do not see. On one or all of the ‘visible’ views I then add a button hidden to all but me (actually, I usually use another field that has a comma separated list of people who can see the button). When this button is clicked, the alternate view opens up and you can examine all values. 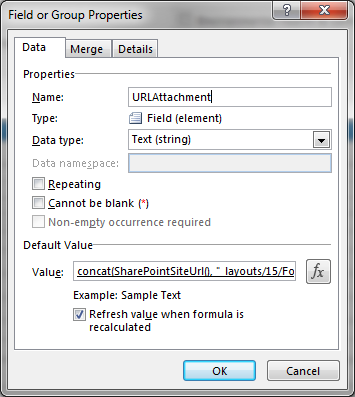 Create a separate folder in the Excel spreadsheet for importing the data, called ‘SPImport’. In row 2, add a regular Excel expression to point to the cell that contains the data (examples: =Data!A16, =Data!D24 etc.). 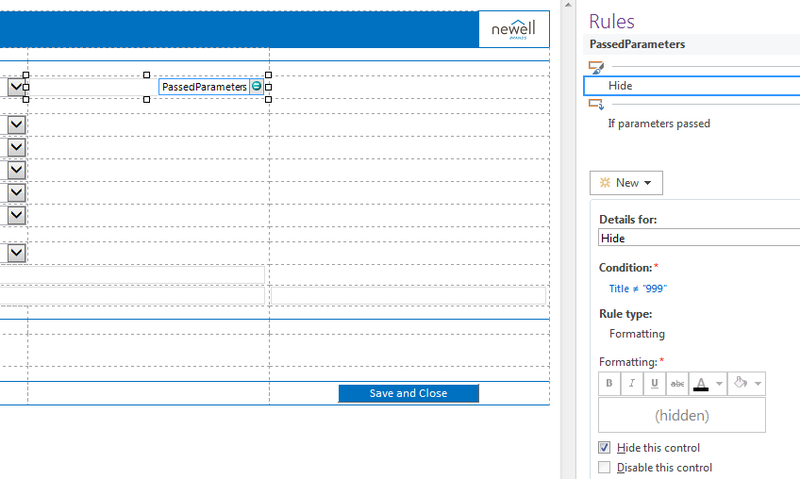 You can add some additional functions in the row to strip of unneeded characters that could cause a problem in SharePoint loads, including hidden spaces, linefeeds, forward and backward slashes, quotation marks etc. 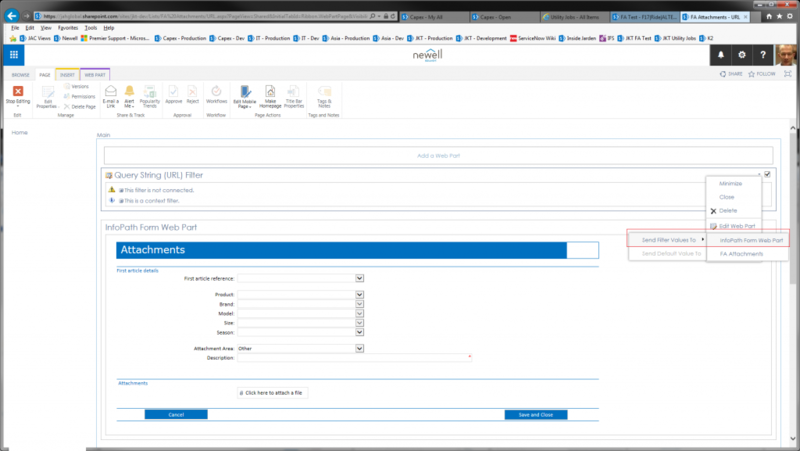 Now, create a SharePoint list, say called ‘SPExcelImport’ that contains the same columns as your spreadsheet and the default Datasheet view in exactly the same format. 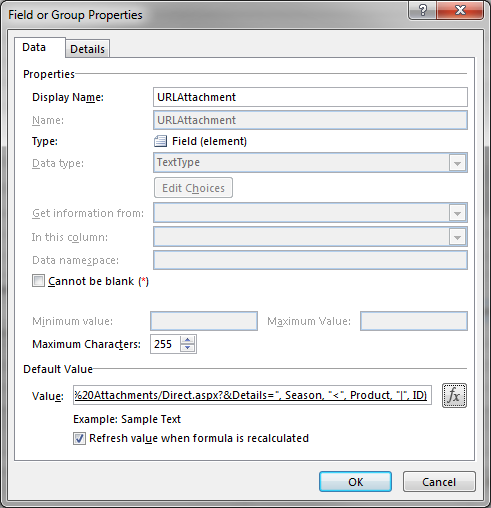 You may choose to auto populate the Title field or use it to hold one of the values you intend to import. In my workflows whenever an update is required from the user, the promoted field ‘Outcome’ is set to 0 and the field ‘Completed’ is set to ‘false’. When the user selects a button to approve or reject the data, the system sets this value to 1 or 2 and sets another field ‘Completed’ to ‘true’. 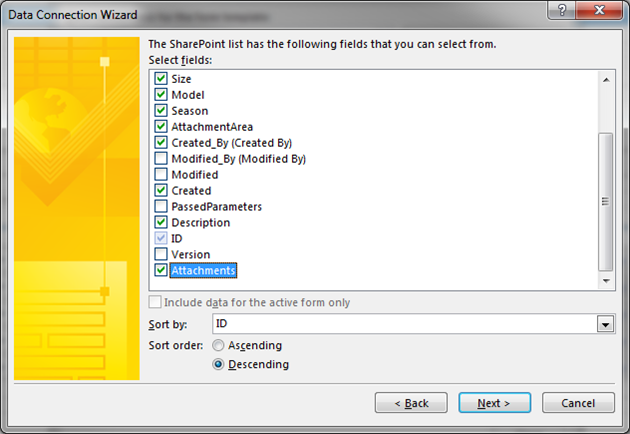 This indicates that an update has been made (based on the workflow action ‘Wait for Field Change in Current Item’) and the workflow can resume and make decisions using the chosen selection. Create a Data Connection link to the table that has the attachments. Add a hyperlink field in your form to link to this URL. We now need the web parts to talk to each other. 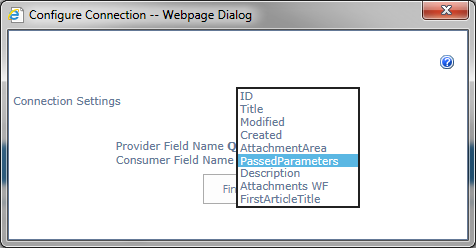 In the InforPart Form Web Part, click on the ‘Click here to open the tool pane’ link. A window will open on the right of the screen. In this window, set the List or Library to the list item that is being called (in my case this is FA Attachments) and set the ‘Content Type’ to ‘Item’. 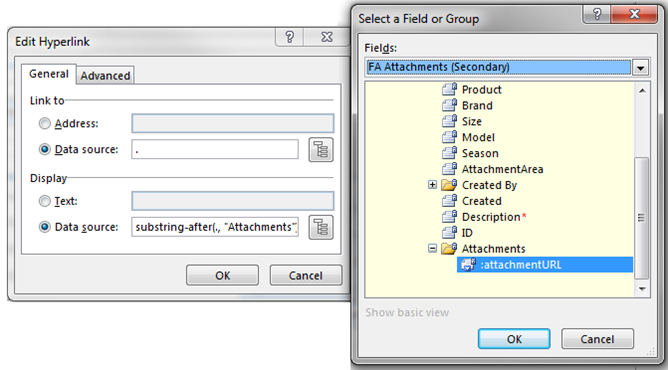 Leave all the other fields defaulted and then click on the ‘OK’ link at the bottom of the window to save your changes. It is possible to open another list item directly from the form in another window. This can be useful when you wish to link to related items in another list or add another list item. This is done by building a URL that points to the list that you wish to link to. 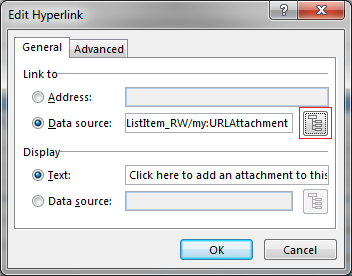 While the building of the URL can be performed directly in the Hyperlink Data Source, I have found that it is clearer to build the link in a field and then tie the Data source directly to the field. where <FileName> is the name of the XML file without the .xml extension (you may have to store this value in a variable in your form – mine is shown as File_x0020_Name[ID = OriginalCapex] in the figure below).